Some homeowners get a little too hung up on the time of the year during which they schedule routine heating maintenance. The time of the year is not really the most important consideration to keep in mind, though. There are arguments to be made for having your system tuned up in the spring, after a season of hard work, as well as in the fall, before putting it into regular rotation. either option is fine, provided that you adhere to a strict annual schedule. 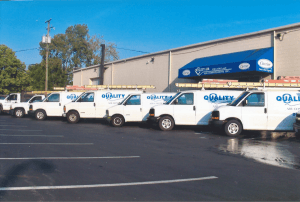 It is when you start faltering and going for longer stretches between heating maintenance in Columbus, OH that you are putting your system at risk. When you schedule heating maintenance for the first time with a new system, you should remember that you are locking yourself into a maintenance routine. If you have your system maintained in the fall, for instance, but then wait until the spring following the next heating season to do so again, your system has put in two full seasons of hard work. That is just asking for trouble, especially when you add in the fact that just sitting around in the off season can exacerbate certain issues. You don’t need to have your system tuned up before and after each heating season, of course, but waiting more than a year between sessions is inadvisable. Over the course of the heating season, it is possible for various components to loosen up from their fixtures. Your system can take in a lot of dust, dirt, and other pollutants, and it may wind up being under-lubricated by the end of the cold weather. All of these problems can be easily resolved by a qualified maintenance technician, but can lead to potentially serious operational issues if ignored. That is why we encourage you to dial our number and to schedule routine heating maintenance on an annual basis with a technician that you can trust. Be sure to follow the link above to learn more about our maintenance plans.